Since I’m in Little Rock for Arkansas Comic Con, I’ve decided to run some specials on my ebooks. Take advantage of these deals on your Kindle whether or not you’re here having a blast with us at ACC. All my titles are now available in Kindle Unlimited. Enjoy reading through my catalogue if you are a subscriber. Shadeskin is free for a limited time and I’ve reduced the price of Shadeborn to $5. So, you can get into the series for a mere $5 on your Kindle! Supremacy: Reformation is now temporarily $5 for all 10 episodes. Regular price will be $7, so go ahead and fill your Kindle up. Visit my author page to get all the ebooks! Episode 8 of Supremacy: Reformation Now Available! In this episode, Dagas unleashes his wrath out upon Morina and White Sands. The Reformation stands against him to save the Second Order. Episode 7 of Supremacy: Reformation Now Available! In this episode, The Caretaker hides Anthros and Elysi from all who seek them as worlds collide on Morina. Both Tharin and Dagas rush to be the first to recover Anthros and the secrets locked inside his head. Congratulations, everyone! We made it to 2017! Now we just have to ask ourselves what it holds for us. I’m not sure about you, but I’m determined to have a good year! I’ve got several exciting projects slated for this year, but the first thing on my agenda is to clear out my backlog. I’ve been holding on to episodes 6-10 of Supremacy: Reformation for way to long at this point, so I’m going to have those out the door this quarter. Then, I will package up the first 10 episodes into Supremacy: Reformation Volume 1, so if you’ve not been keeping up with the series, you can jump into it and get caught up. 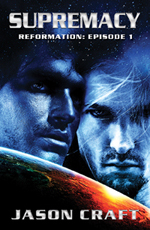 The next item is to expand the Supremacy universe with the publication of the YA scifi novel I’ve been writing. I’ve been excited about this project for a while and can’t wait to write a teaser post explaining the premise. The working title is Mechanical Soul, but that’s all the detail you’ll get out of me at this time, but trust me, it’s going to blow your mind! Robot Dinosaur Lazer Attack! should be making an appearance this year. I started writing this crazy idea of a retired MMA fighter who gets caught up in a galactic war that comes to Earth and it morphed into a spiritual prequel for Power Rangers. The timing on this couldn’t be any better since the new Rangers movie is going to be awesome. However, my take on it is certainly not kid friendly, because I’m writing it for my fellow Gen1 fans! Finally, I’ve officially started the process of writing Shadeskin 3. All your favorite characters will be back in action very soon, and I can guarantee an exciting fighting ticket: Clara vs. Jailyn. Zyne vs. Astrous. Hunter vs. Katie. Darrus vs. Sams. Daniel vs. Matt. It’s all going down! I just hope my humble town of Shreveport can survive this level of brawling. My goal lately has been to work on creating more stories that I can bring out on the convention trail, so you may see me out in the wild. If I’m feeling particularly adventurous, I may show up in Dallas or Lafayette. So, that’s what I’m planning on bringing to the 2017 table: more stuff and more events. Look for more Supremacy: Reformation, Mechanical Soul, Robot Dinosaur Lazer Attack!, and Shadeskin 3. 2016 sucked, but its metal legacy lives on. It was a really good year for metalheads everywhere. No matter what sub-genre you like, there was something for you. I’ve compiled a list of my favorite releases last year by both established and rising bands. Start 2017 off right by getting caught up with some music you may or may not have listened to yet. Remember to support your artists! Episode 5 of Supremacy: Reformation Now Available! In this episode, everyone closes in on Anthros and Elysi while they rush to escape Morina. Her entire clan, divided over how to protect one of their own, searches the entire planet for them. Recovered from the wounds Anthros left, Tharin rises to piece together just where Anthros went after White Sands. Morina holds enough secrets for all of them. 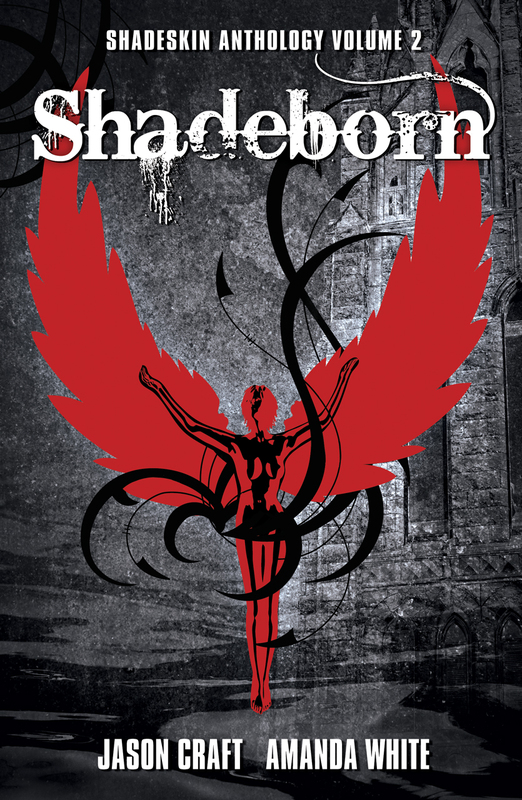 If you’ve been waiting to get your hands on a physical copy of Shadeborn, now is your chance. 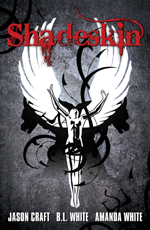 The next chapter in the Shadeskin Anthology continues in both digital and print formats, so jump in and join the story! A new power is rising in Shreveport, escalating tensions between Shade and Illumin. Every Shade in the city feels this shift and works to carve out their own section in the new order. The Raven family unites against their growing enemies to prepare for the upcoming war. Still recovering from the wounds of betrayal, the Ravens wrestle with painful memories of their losses, set aside old feuds, and reforge their alliance with the Illumin. In the end, all may succumb to this powerful force that threatens the city. In the second installment of the Shadeskin Anthology, two authors interlace stories of ancient beings and their impact on the human race set against the backdrop of a Louisiana city.